Do you love to wear elegant designs? Or you are a sports addicted person? I got something cool and elegant to share with you. Recently while searching only I came across a coaches jacket online. It was so cool in shape and style that I end up ordering one within a few minutes. 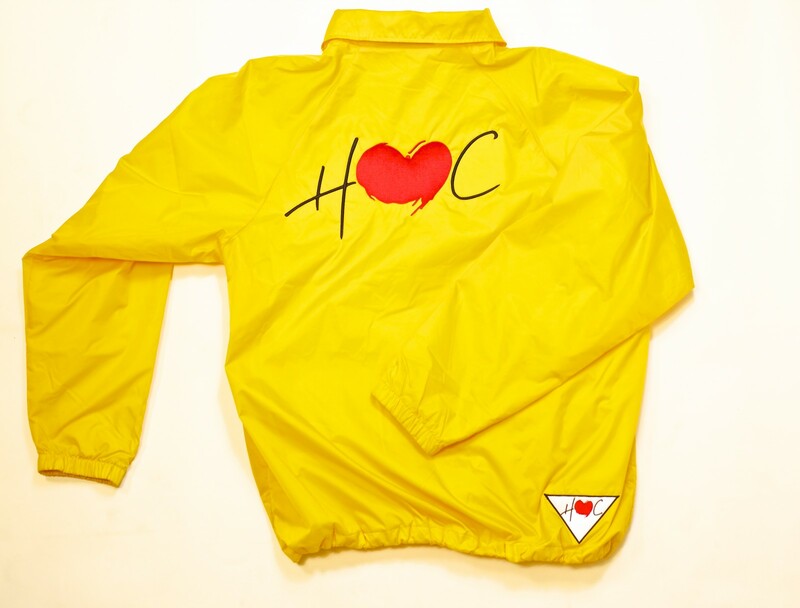 That’s heARTofCOOL official coaches Jacket. Yellow color HOC jacket looks stunning. Actually the tone of yellow color they have used is so attractive and cool that your face will glow while wearing these. And the jacket is equally beautiful from both sides. HOC is written in the front in a stylish manner. While on the back the Embroidered HOC (O in the heart shape) will give you amore confidence walk. Thinking the one who sees you from behind will have to look at you atleast twice before crossing over. The Jacket is available in green, red and orange colors as well. These colors are perfectly chosen for this jacket. It wouldn’t have looked as attractive in any other color. And the price $117 is reasonable as well. So don’t waste time making up your mind. Just visit the site heARTofCOOL.com and order one for you before it gets out of stock . Such designs are not available anywhere else so whoever will see it will end up ordering one. And I am sure you will be one of them as well.